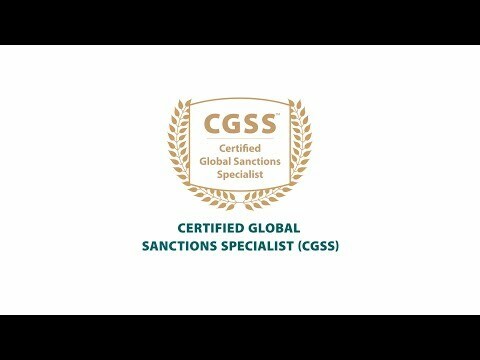 CGSS is a new ACAMS certification that equips an organization’s workforce with a credential that represents a serious commitment to compliance with sanctions, in a world of increasingly complex laws, regulations, and policies. CGSS is global, allowing multinational institutions to strategically and uniformly apply the same program for all global employees. Make your workforce CGSS-certified and demonstrate to regulators a strong commitment to compliance in sanctions, as CAMS (the gold standard in AML certification) is to AML compliance. Please accept cookies to play this video. By accepting you will be accessing a service provided by a third party. Please fill out this form to download more information about CGSS, such as learning objectives, pricing and launch date. Sign up for updates and be the first to know.